Earlier this month, Sears Roebuck declared bankruptcy. The once-iconic retailer had long been struggling. Sears lost its preeminent position in the department store category to Walmart way back in 1991. In fact, its final denouement surprised just about no one. 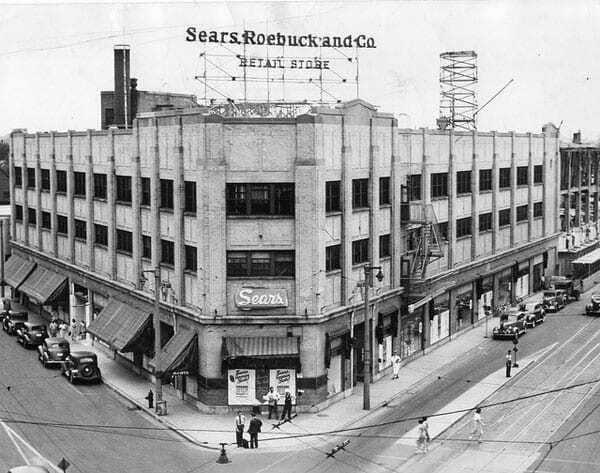 But as Nelson Schwartz and Michael Corkery remind us in the New York Times, just as surely as Detroit before Silicon Valley was once the nation’s leading “high-tech” hub, Sears was once the Amazon of its day. Employee ownership, as NPQ has highlighted, is once again booming. Increasing recognition of the importance of employee ownership nationwide helped lead to the passage of historic federal legislation last August that facilitates the conversion of existing business to employee ownership by making such conversions eligible for Small Business Administration-guaranteed loans. But, as the Sears example shows, the notion of treating employees as stakeholders and co-owners of the company is not new. Schwartz and Corkery add that Sears’s employee ownership program at mid-century was “remarkably egalitarian. Contributions were based on years of service, not rank, and the longest-serving workers received nearly $3 for every dollar they contributed.” Sears, however, began to phase out its profit-sharing plan in the 1970s. Joseph R. Blasi, a management and labor relations professor who directs the Institute for the Study of Employee Ownership and Profit Sharing at Rutgers University, notes that Sears was not the only company at mid-century to promote employee ownership. Other companies with similar practices at the time include Procter & Gamble, S.C. Johnson, Hallmark Cards and US Steel. Amazon’s move to raise wages to $15 an hour, of course, is also in part a response to the union-backed Fight for $15 campaign. Now, as then, getting companies to “do the right thing” often requires social movement pressure and organizing.